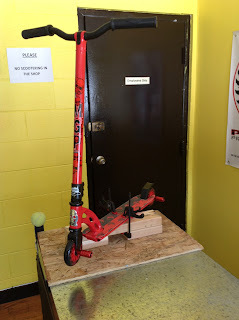 Vermin Scooter Shop: Pro with Pegs! MGP VX2 Pro with red axle pegs. Sweet.